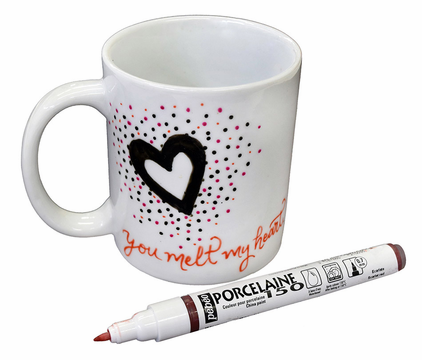 Pebeo Porcelaine 150 markers, paints, and outliners are the perfect choice for creating permanent artwork on dishes, jewelry, and more. Specifically designed for surfaces like glazed ceramics, porcelain, glass, and metals, Pebeo paints are easy to use and will become permanent (even through the dishwasher) after being baked on in a regular household oven. Pebeo Vitrea 160 markers are excellent for adding your own special designs to glassware, vases, etc. Create stained glass effects or colorful patterns with either a glossy or frosted finish.